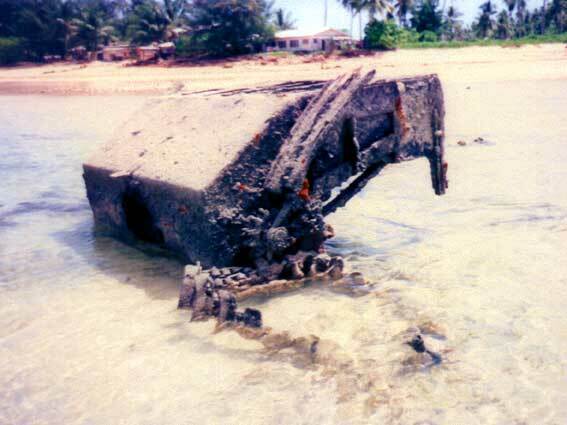 Extensive research has led me to conclude that this is definately the wreckage of the LVT(1) that was launched from the USS Feland -- the one that struck the boat-mine on the evening of 21 NOV 1943. It is exactly the right type of LVT and it is in exactly the right place. One thing that can easily be seen in this photo is the flat-blade track design of the LVT(1), which is quite different from the double-cupped track design of the LVT(2).